Core Web is a complete online business solution for real estate agents to manage their business. 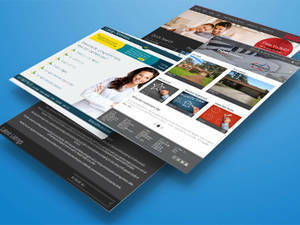 It integrates your web and mobile sites with comprehensive real estate business tools in the ‘back end’. Extensive real estate industry experience has been thoughtfully combined with technical expertise to deliver a web-based business system that delivers value to all your online channels. Core Web Systems aims to integrate technologies so your sites are driven centrally and become fully streamlined into your business processes. Core Web enables you to minimise duplication of effort by centralising external data entry points; you can seamlessly update your website, mobile site and major real estate portals in one place. You will have complete control of all your online channels in one system. Core Web provides an extensive range of web and mobile site features to leverage your online presence for maximum return. A functional and current online presence is an effective and powerful business tool. Core Web Systems will work with you to tailor the system to meet your unique business & marketing needs.